This TA Technix sport suspension kit is for the Renault Megane type BA / DA / EA. 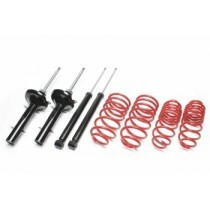 This TA Technix sport suspension kit is for the Renault Megane type BA / LA / EA. This TA Technix sport suspension kit is for the Renault Megane type M.